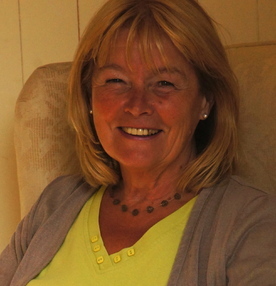 I am an independent counsellor working from home in Stratford upon Avon. As a Person-Centred therapist I believe that given the necessary conditions a client who is experiencing difficulties will find their own solutions. These conditions include, privacy, confidentiality, acceptance, a relationship that feels safe and trusting, time to be heard, valued and respected and the knowledge that I am working with you to help you find your solutions. Sometimes it feels important to meet the counsellor before embarking on therapy, if you wish I can offer a complimentary half an hour for prospective clients to come and meet me before making the decision. I believe that the relationship between me and my client is fundamental to the success of the therapy. My aim is to build an emotionally safe, confidential space where my client can share their problems. I qualified as a Registered Nurse and Midwife and worked as a Midwife for more than 25 years. I hold a Diploma in Person-Centred Counselling from The University of Warwick (2001) and a Diploma in Childhood Bereavement from the University of Middlesex. (2004) I have a further certificate in Complicated Grief. I am a qualified and experienced Supervisor of Counsellors. I have extensive experience working with those who have a life limiting condition their families and friends. For 12 years I managed a Counselling Service in a Hospice, training volunteer counsellors in the impact of loss and grief on individuals and their families. I also developed a Childhood Bereavement Service for children and young people who are affected by the death of someone close. I now have a small practice at home in my Therapy Shed where I see clients and supervisees.